When you’re searching for professional Honolulu property management, you need to consider experience, knowledge, and transparency. A good property management company will also communicate well, have excellent systems in place, and a proactive, responsive approach to leasing, maintenance, rent collection, and all of the other things you expect your management company to do for your Honolulu rental property. Today, we’re discussing some of the things to look for, and what you should ask a property manager when you’re interviewing one. Most of the property management companies you encounter will offer the same general services. They will market your home, screen your tenants, handle move-in and move-out processes, take care of maintenance, collect rent and security deposits, enforce the lease, take care of the tenant relationship, and provide monthly, quarterly, and annual financial statements. The difference is in how these services are provided and at what level. You need to feel comfortable with the processes and procedures that a management company has in place to effectively manage your home and your Honolulu tenants. Ask how they communicate with Honolulu owners, and how quickly it will take them to return a phone call or an email. Discuss their maintenance policy and how they handle emergencies. You’ll want a step-by-step overview, and you’ll also need to know if they expect you to fund a reserve or escrow account for repairs. Ask how thoroughly tenants are screened and whether owners make the final decision on approving a tenant. Talk about fair housing laws, and how your property manager will keep you in compliance with all state, federal, and local laws. The professional you work with must be licensed in Hawaii, and that license must be current and active. Don’t use a company that doesn’t have general liability coverage and E&O or errors and omissions coverage. Honolulu landlords should do some research before hiring a property management company. Check their online reputation. Visit Yelp, Google, and read any testimonials on their website. You should also consider how active they are in their field, and whether they engage with their customers. If they respond to reviews, you’ll know they care about the service they provide to their customers. Fees are never as important as the level of service you receive from a management company. You may find a company offering lower fees, but remember that there’s always a reason for these below sea-level prices. 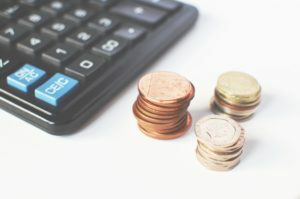 Most property management companies have the same overhead costs such as office space, employee salaries, computer equipment, software, licensing and insurance. If one company can offer their services at a much lower rate, corners are probably being cut. Saving $20 a month is not worth the reduction in services or the lack of quality you may receive. It’s also important to find out how you terminate a contract or a management agreement. Will there be penalties, and do you need to give notice? If you need help finding a qualified and reliable property management company in Honolulu, contact us at HappyDoors Property Management. We’d love to tell you more about what you can expect when you work with us. When is the Best Time to Rent Out Your Honolulu Property? What Can a Landlord in Honolulu Deduct from a Security Deposit?